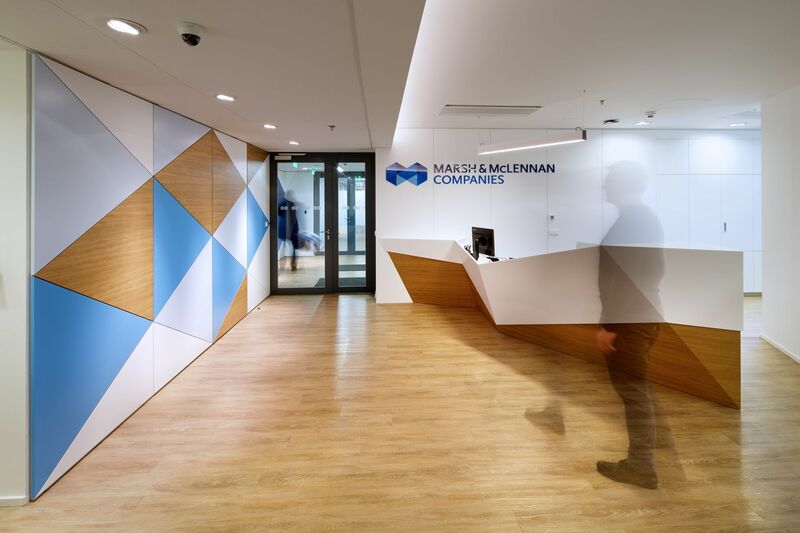 The new Czech headquarters for Insurance company Marsh Mclennan is located in the Flora Office Centre in Prague. The 1 200 m2 fit out designed by IBA includes a representative clients zone which will also be used for staff functions / meetings, a central kitchen zone which will act as the ‘heart’ of the scheme and a variety of informal and traditional work settings. 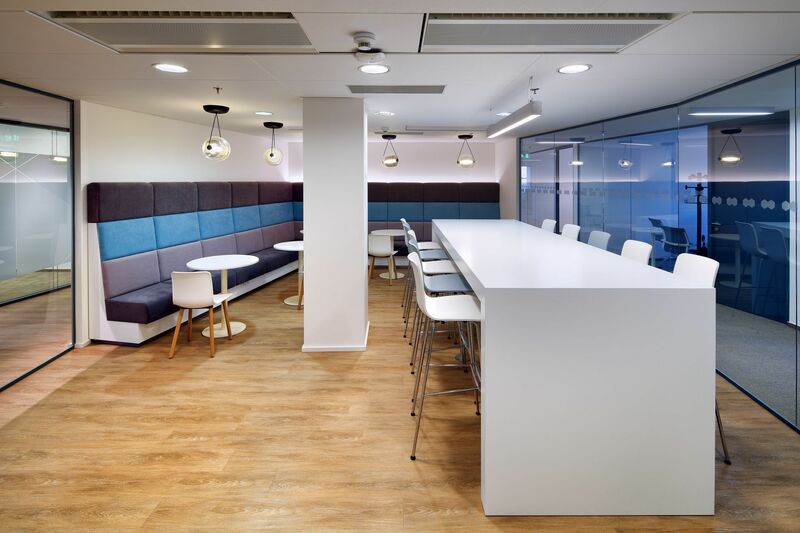 The company logo was the source for much of the geometric patterning which runs through the design in the forms of wall panelling, reception furniture and decorative treatments on glass panels. 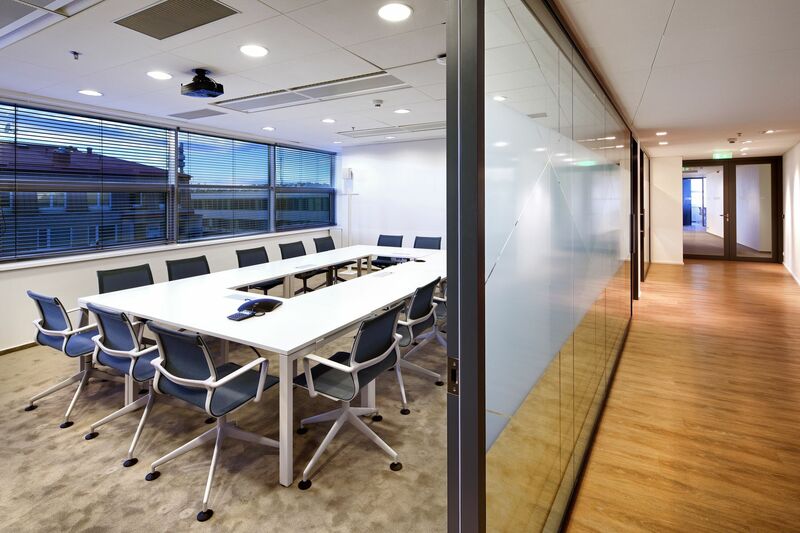 This creates a specific and highly recognizable visual identity for the interior.